An 80th garden cake. the ‘8’ is decorated with surrounding wall, small colourful flowers, wells and little birds. 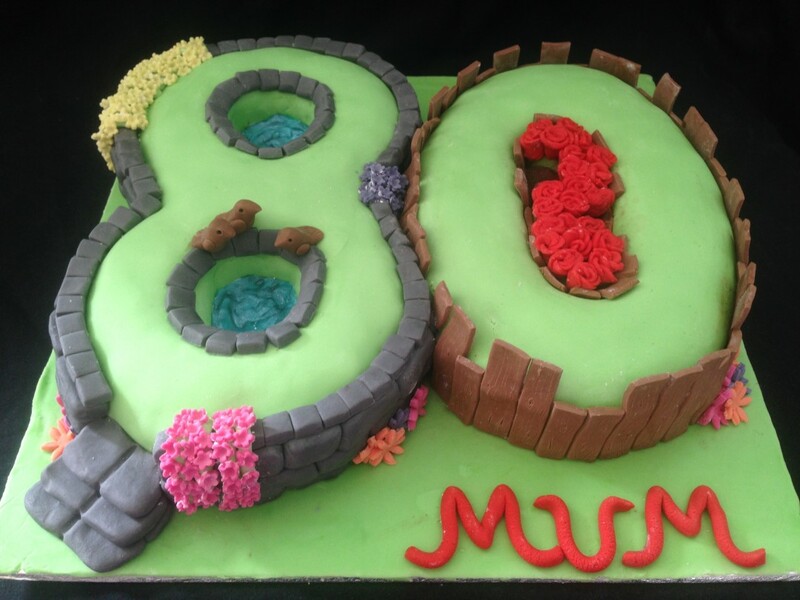 The ‘0’ decorated with a surrounding fence and a rose garden with edible mud.